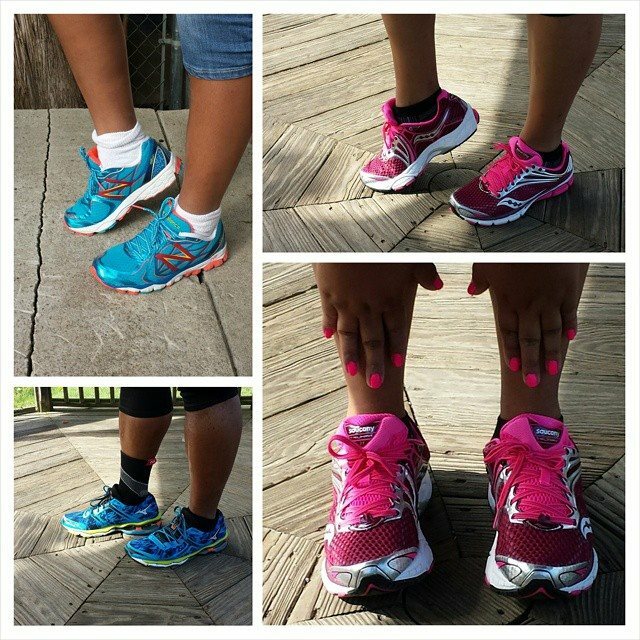 So it’s official, our family is becoming a running family. We all have gotten official running shoes to break-in for our planned goals this Fall. 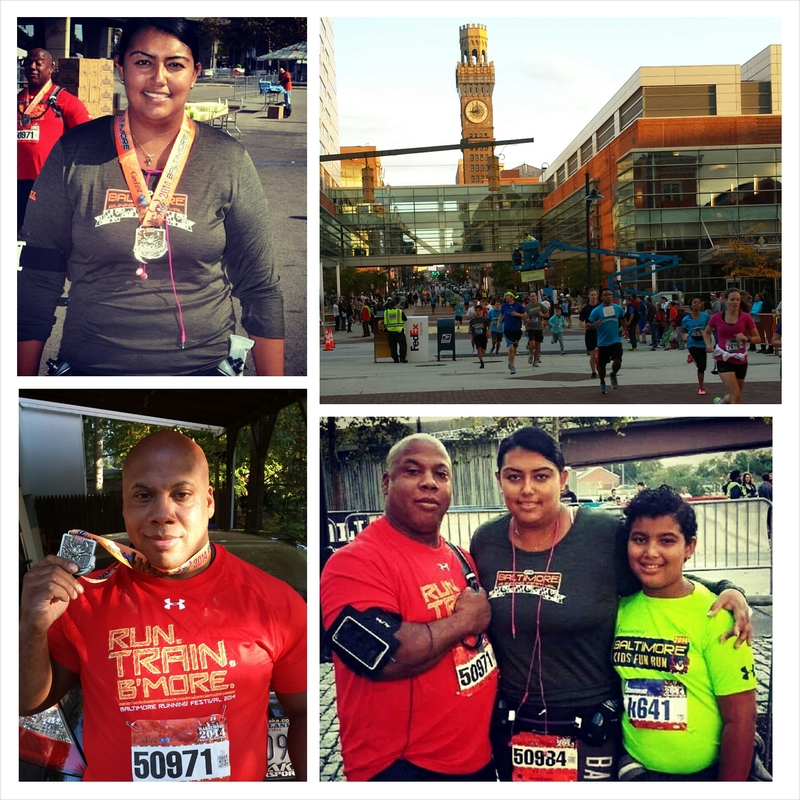 Larry and I have our goal to complete the Baltimore Running Festival half-marathon in October. Now my 9 year old is inspired by us and she’s joined her schools Girl’s On The Run Team and they will Run in November. We are all feeling pretty stylish with our selection/style/color and fit of our shoes, nothing can stop us now. P.s. Our 8 mile run last weekend was awesome! No pains, no muscle cramps because we prepared for the unexpected. The last mile got hard but I pushed through it and considered it an awesome run. Larry and I taking the new shady trail for our 7 mile long run. This Labor Day weekend was quite an experience and almost a scary one–as week 6 came to its end. It was 8 a.m. Saturday morning and I had only eaten half a bagel not knowing I would start my long run until 12pm. I had obviously not realized how much time had passed till Larry and I got to our running site. As soon as I got out the car, I could feel my tummy saying “feed me, it’s lunch time”. I figured I could ignore it and simply just tough it out for 7 miles and make the best of it. BOY was I wrong. I reached 2.25 of my 7 mile run and completely started to lose my energy. I quickly couldn’t focus, lost total motivation, and started to feel weird–a weird I couldn’t even explain. Larry and I decided to sit down on the grass and after 10 min. Larry suggested we just try the 7 mile long run for Sunday, as there was no need to push ourselves and risk injuries of any sort. So that’s what we did. Sunday came and I made sure I got up 2 hours before our run, ate a hearty breakfast and we got to our running site on time. I was ready and so was Larry, we were so excited to do our run because we decided to take a new trail. As we began our run we were pretty satisfied that the new trail had a lot of decent shade and every now and then we got some good wind. But little by little we didn’t realize how hot it was getting. 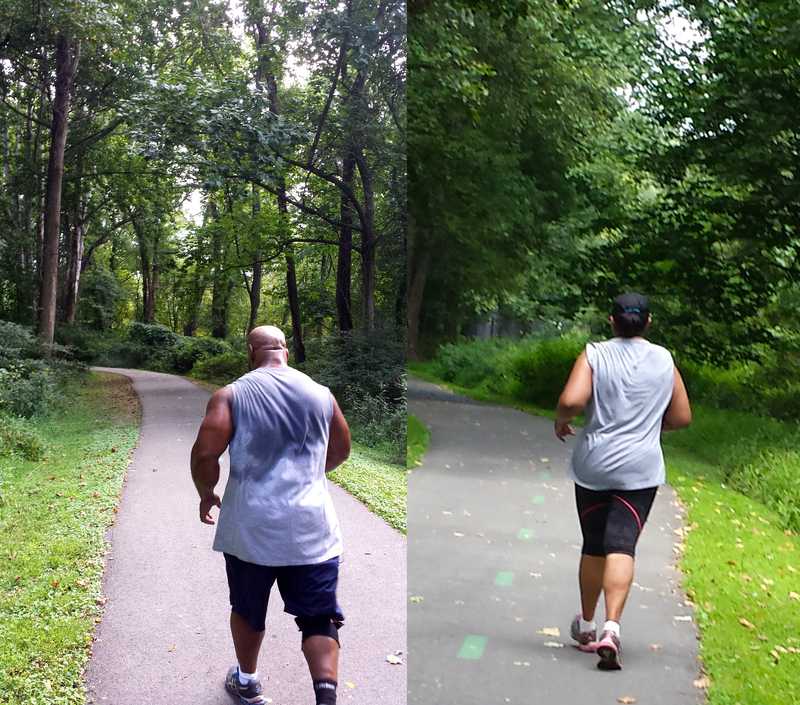 Now…normally men sweat more then woman and Larry is a sweaty guy outdoors. Since we started our trainings, we did notice that he would be drenched after runs, and so far he’s been okay given that our 6 mile run the weekend before was through rain. But this particular Sunday it was above 90 degree weather which was hotter then usual–as we have been having a cooler summer thus far–but we were both about to have an experience we won’t forget. Just as we were about to approach 5.5 miles of our 7 mile practice long run–I was feeling great with plenty of fuel for the last 1.5 mile. We approached the tiny creek bridge we go over and there stood a older lady and 2 men. As we got closer, she smiled and said “Ugh It’s really hot out here right!”, Larry responded back with agreement. Shortly after getting off the bridge and about 5 minutes, Larry started to cramp up so we stopped to stretch and walk a little. While it seemed to help, Larry’s legs only got worse. We decided we cut through our trail for a early water break at our car as it was indeed feeling really hot at that point and Larry was totally drenched with sweat. He began to replenish his body with liquids–As I was telling him he’s loosing too much water and sodium, his entire body began cramping. He started not to feel so great, so he lay on the grass–just in case he passed out he wouldn’t hit his head on anything. I massaged his cramps, poured water and massaged ice cubes over his head and neck and stood near for anything he needed as he drank as much fluids as he could. It was long before he could get up and get in the car, he really needed some salty fast-food since gatorade wasn’t helping but couldn’t leave him alone till the cramping passed. As I sat next to him on the grass comforting him, I discussed that even though this was not good, it was good we are experiencing his body’s reactions to the training and that he is obviously loosing way too much water/sodium during long runs. It hadn’t affected him before because we were doing short runs to build up to our long runs and the reason he didn’t have any effects at our 6 mile long run was because it was raining unlike this particular hot, humid and sunny day. All that said, we concluded that he MUST carry a water backpack or belt to replenish with water with all the sweating he does at every mile and definitely start hydrating before the run. Finally, were able to leave in the car and I took him to Checkers. As nothing beats a sodium overload like their burgers and fries. 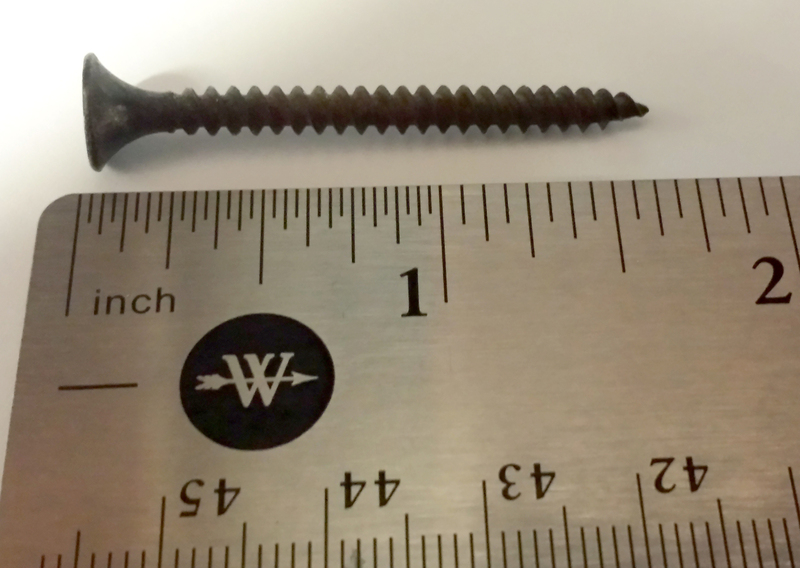 While eating he caught two more cramps, one on his index finger that passed and the very last one that sent his Checkers fries flying across the dashboard and car floor–his bicep decided to give him one good last cramp. While it was a scary thing on my end at that given moment, thankfully we were able to laugh about it right after the cramp passed. I have to say that this was a crazy scary episode not just for Larry but also myself. However somehow it didn’t phase us and has only motivated us to be stronger runners. Because the next day we hit the store for running gear and discussed what our running plans would be even long after we do our half marathon in October. It’s been about three weeks since I posted about my training progress for the half marathon I’m doing in October…how’s it going? Let’s just say I’m surviving. I started to think am I really literally a Wanna-Be-Runner? 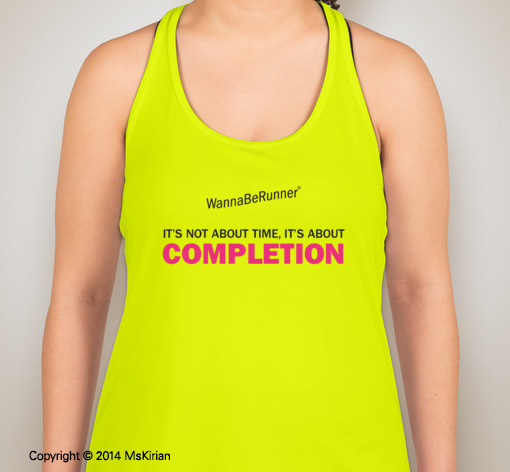 I want to say 50% of me is… I thought about it so much I even thought of my own WannaBeRunner Apparel. What do you think? When I feel like a runner, I feel strong and in a zone like I can keep going forever. But then there are the bad days where I just don’t have it in me. I have yet to feel excitement when driving to the site, for practice runs during the week let alone at long runs on Saturdays. But like I said once I start running, I am either all for it or not. However, I dare not quit even if it’s not in me, I do what I tell my beloved. It’s not about time, but completion…even if it means walking it to the end.